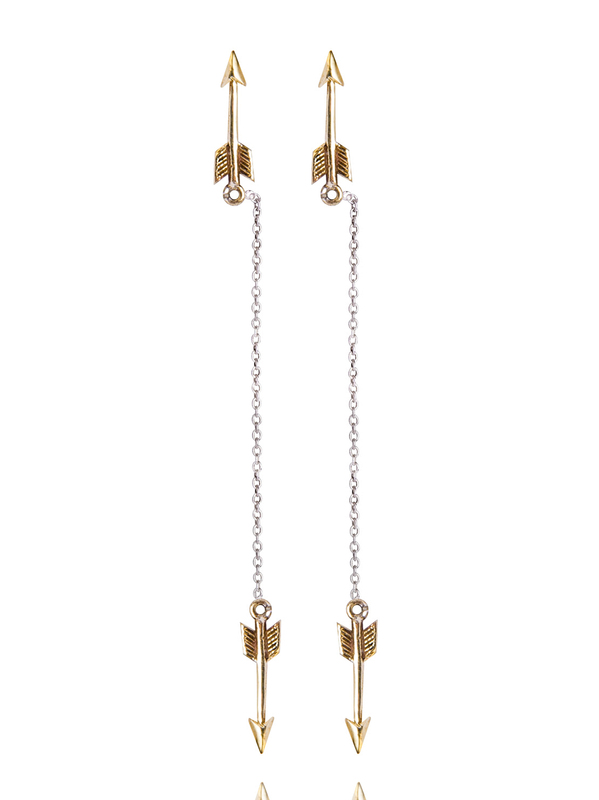 They are made up of a single brass arrow stud measuring 1.5cm in length that points up your ear. The earring post and butterfly are both sterling silver, so the only metal going through the ear is silver. The drop is 7cm in length and this measurement includes the silver chain and the single brass arrow.